Norwegian aluminium firm Norsk Hydro A.S.A. 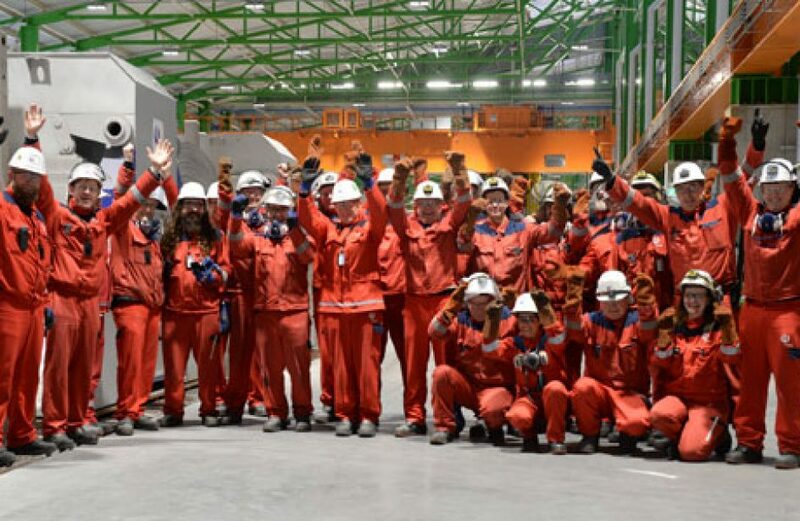 announced the first production of primary aluminium at its high-efficiency Karmøy Technology Pilot plant yesterday. “We’re now producing aluminium in the technology pilot, and we are very excited that we can now start to use this technology at an industrial scale,” explained Hilde Merete Aasheim, Hydro’s Executive Vice President for Hydro’s Primary Metal business area. According to Hydro, the newly-opened plant will reduce the energy consumed in smelting aluminium by 15 percent, giving the plant the lowest CO2 footprint of any smelter on Earth. The US$556-million project consists of sixty cells, 48 of which utilize HAL4e technology (12.3 kWh/kg), while the remainder employ HAL4e Ultra technology (11.5-11.8 kWh/kg). At ramp-up the plant is expected to produce 75 thousand metric tons of primary aluminium per annum and employ 50 new workers. Aasheim hails the development as a landmark breakthrough in smelting technology. The firm says the Karmøy plant is also a proving ground for a new process-control system that it anticipates utilizing in its other plants in the future.